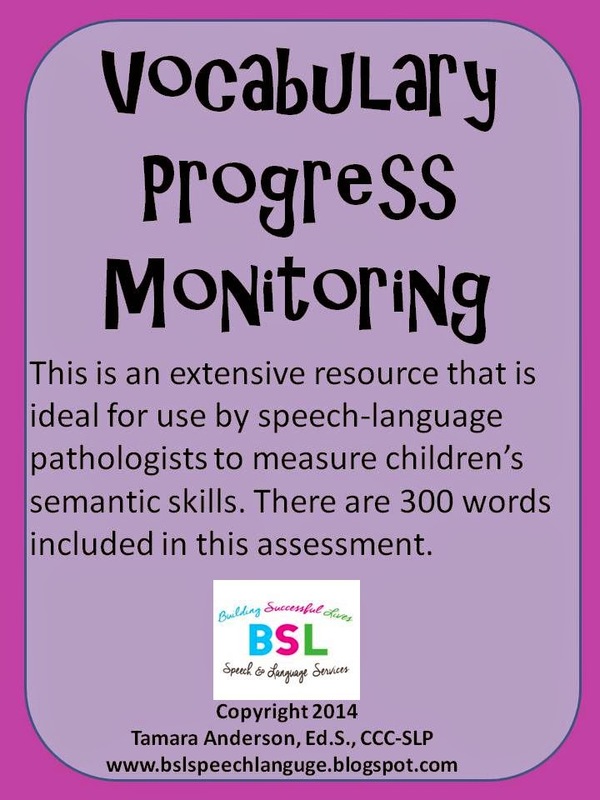 I am excited that my latest product, Vocabulary Progress Monitoring, is available for use by speech-language pathologists and can be purchased in my TPT store. 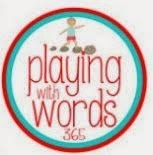 This essential and effective informal assessment tool assesses 300 vocabulary words. 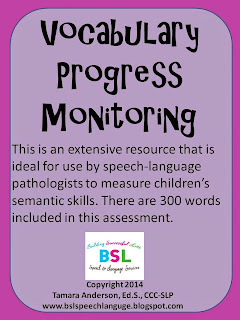 I have personally used these quick evaluation tools with children who have speech-language disorders to measure their semantic processing skills. 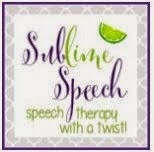 Several SLPs purchased this product last week during my November 7th Must Have sale so I know this is a necessary product to have handy in your speech-language therapy room. I recommend making an assessment binder with several copies of each form and keeping them in sheet protectors. This way you can easily access them when you need to complete an informal vocabulary assessment for a student. Shannon Giles and CJ Mason are the winners of this contest!! Check your email to receive your prizes.